Thousands of cells phones are smuggled into South Carolina prisons every year. Many are confiscated, but the ones which aren't are being used to plan crimes from inside prison walls. Many methods are used to smuggle them in, according to Richland County Sheriff Leon Lott – inside backpacks and duffel bags thrown over the fence by confederates on the outside, flown in with drones, even secreted inside footballs and basketballs tossed over the walls. 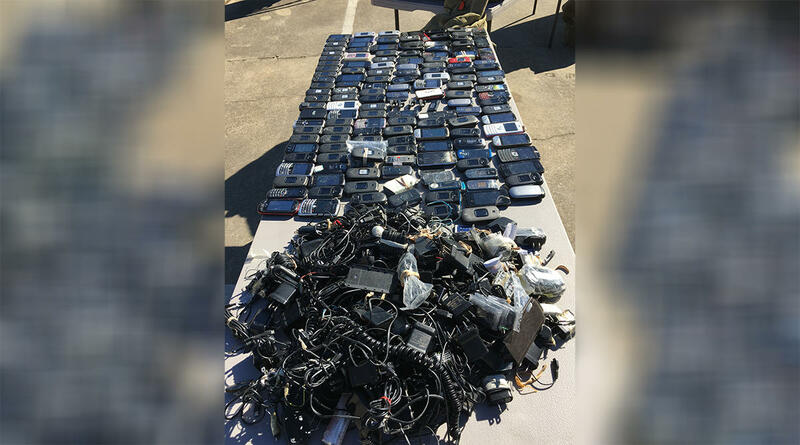 Lott’s deputies, and those of other county sheriffs, are helping to patrol the perimeters of the state’s prisons, and are reducing, but not eliminating, the number of contraband phones obtained by prisoners. One sure fire method to stop the problem would be to jam the phone signals using available technology, the law enforcers say. But blocking the signals is forbidden by the Federal Communications Commission. Stirling and prison directors from other states are working with the FCC and the cell phone carriers to try to change the rule or work out a solution, but it’s an uphill battle. Stirling is determined, however, and says if things can’t be worked out with the companies and the FCC, he will take his fight to Congress for help.